I'd really like to know what is wrong. 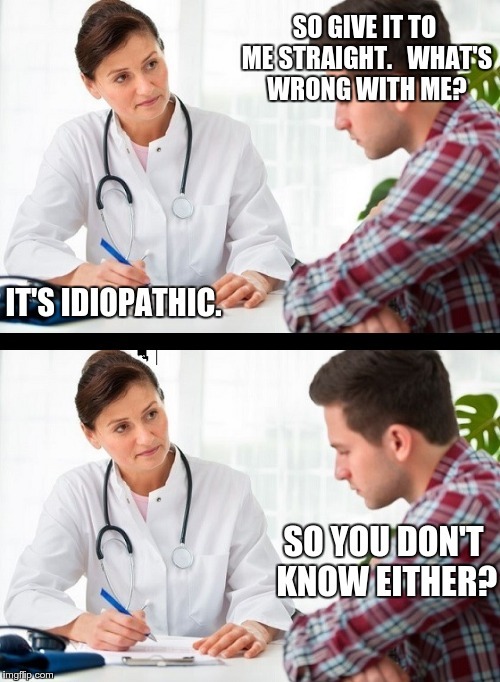 Actually, idiopathic means the doctor is an idiot and the patient is pathetic. 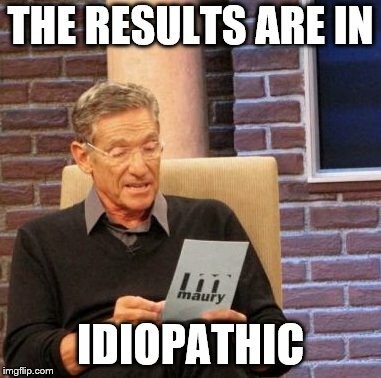 DOCTOR, YOU SAID MY CONDITION IS IDIOPATHIC, UH, WHAT IS IDIOPATHIC? 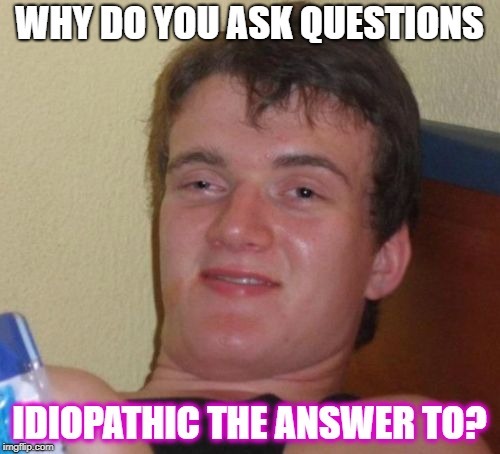 INSTEAD OF SAYING, "I DON'T KNOW," DOCTORS SAY "IDIOPATHIC. "; WHY WOULD DOCTORS DO THAT? 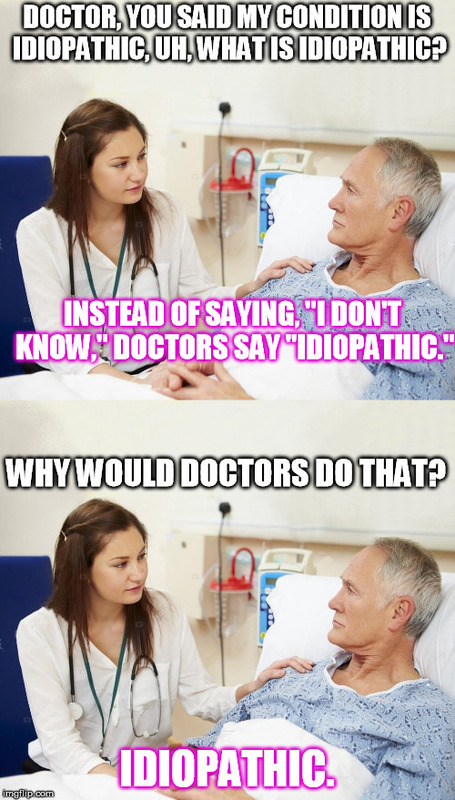 IDIOPATHIC.